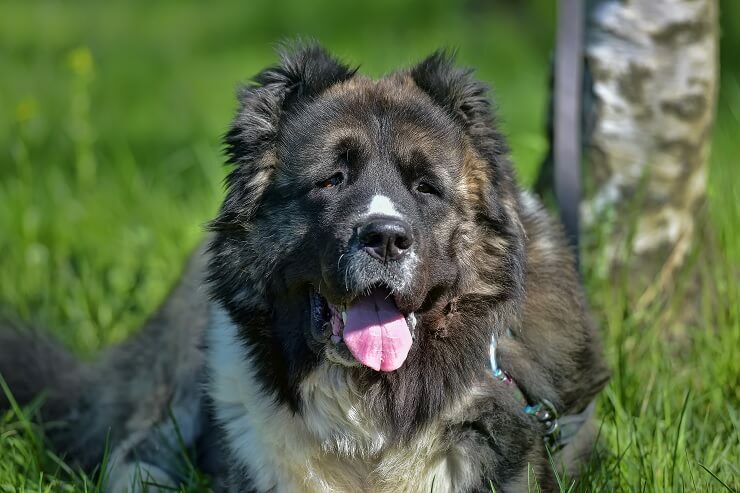 HomeBreedsRussian Bear Dog: Is This Gentle Giant Right For You? With a name like the Russian Bear Dog it’s safe to say this is a large dog breed. Males can weigh up to 200lbs and females 180lbs. Whilst its size might put people off from owning a dog like this, don’t be fooled! They are gentle giants when trained well. With a long history of being guardian dogs, they are loyal and kind dogs. First appearing in Soviet Russia, they have a long ancestry and even share 10% of their genes with wolves. They are well-balanced dogs, but can show aggression to strangers – they are the perfect guard dog. Are you tempted by these loyal dogs? Keep reading to learn if they’re the dog for you, and what it takes to make them happy and healthy. What is a Russian Bear Dog (Overview)? Is A Russian Bear Dog A Good Family Dog? 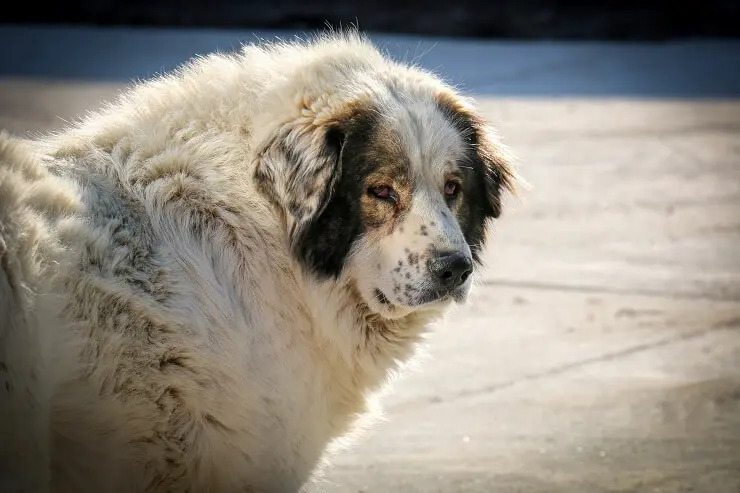 The Russian Bear Dog, also known as the Caucasian Shepherd Dog, is indigenous to the mountainous regions of Georgia, Armenia and Azerbaijan. They have been used for many years as guard dogs, protecting livestock. The breed is believed to be around 2500 years old and related to the Tibetan Mastiff. These loyal giants have protected livestock (mainly sheep) from wolves and bears in the mountains. They are still used today for this purpose in the Caucasus mountains, especially in Georgia. They have great hearing and sight; specially selected traits to make them the best guard dogs. 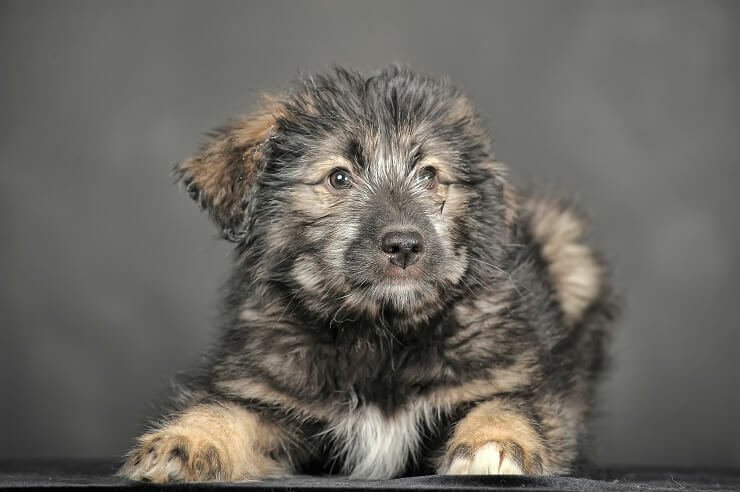 The Caucasian Shepherd is recognized by the American Kennel Club as a purebred and is classified as Foundation Stock. The Russian Bear Dog is very large, mostly to deter predators from attacking livestock. Whilst very handsome, they can be intimidating due to their large and stocky build. She has a broad body and visibly noticeable muscles. They have large paws and short legs, but an athletic body. They have a large skull with a flat forehead. Its powerful muzzle tapers gently to the nose, which is most commonly black, but can sometimes be brown depending on the color of the fur. Eyes are medium size, oval-shaped and brown in color. The ears are set high and are triangular shaped. In the breeds native countries in the Caucasus mountains the ears are traditionally cropped short to prevent wolves and other predators biting them. Russian Bear dogs are large when they are fully grown, in fact they are one of the largest purebred dogs around. As usual, the males are generally larger than females. They will have a double coat, meaning they have two layers of fur. The outer coat will be long and coarse, with the undercoat being soft and fine. In terms of coat length it can be anything in-between long and short. However, if the coat is long, it will appear to have a mane around its neck and thick feathering on their hind legs and tail. A Russian Bear Dog is a very protective dog due to their history of being guard dogs. Remember, they were specifically bred to watch the livestock and home for any intruders or predators. They are incredibly loyal to their family but have an innate distrust of strangers – just like Malamutes. They will bark noisily at the slightest disturbance that is outside of what they deem ordinary. Bear dogs are known for their ferocious behavior and may become uncontrollable if not properly socialized and trained (more on this later). They are not known for being hyperactive and can be lethargic at times. However, they still require daily walks. Unlike lots of other breeds, they are comfortable on their own, as they are very independent dogs. A Russian Bear Dog is fiercely loyal to their owners and will have a strong attachment to their family. Their instinct is to protect their owners; they are perfect guard dogs for your family! However, their sheer size and strength may be a problem when it comes to children and can become unpredictable. As with all children, if they don’t know the boundaries of a dog, they may continue to poke and prod the dog, until he reacts. Even though they won’t purposefully be aggressive towards any member of the family, the sheer size and strength can be intimidating to children. For this reason they are not recommended to be a first pet for a family, especially with small children. The Russian Bear dog is above average in intelligence, but that doesn’t mean they are obedient. They are very independent dogs, most likely because they would be left alone with livestock for most of the day without the owner. Being an independent dog, they are only eager to please up to a point. When training this dog, you’ve got to have patience. Start training as soon as you bring your puppy home. If you wait until your dog gets older, they will become too headstrong and will be difficult to train. 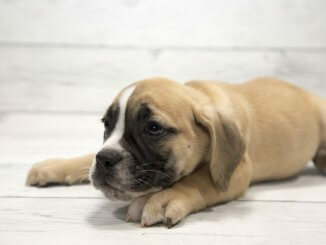 Take your puppy to a local puppy class to get them socialized early; this will be very helpful when your dog is bigger and encounters other dogs. Of course, when training your dog, the basics are normally: sit, stay, wait, here, and lay down. But a very important aspect of training this big bear dog is walking on a leash. If they keep pulling on the leash with their strength, they could be the ones taking you for a walk! To prevent this, you could use the ‘stop, go’ training method. If they start pulling you stop walking and don’t budge. Let your dog come back to you and give them a treat when they calm down and start walking again. Do this whenever you feel the leash tighten. Rememeber when training them that punishment has been shown to cause further problems in dogs’ behavior, so be aware that this is not the way to go. Instead you should use positive reinforcement instead. Positive reinforcement doesn’t cause any problematic behaviors and is shown to be the most effective. You can do this by giving your dog treats when they follow your command. Another reward for your dog can be playing with their favorite toy. It depends on what their personal preference is. As they are intelligent, mental stimulation is as important as exercise! One way to keep them mentally stimulated is to use puzzle games. Putting treats in a toy and letting them figure out how to get the treat out will keep them occupied and determined. Kong toys are perfect for this! You can also buy more complex puzzle feeders if you really want to test your dog’s intelligence. A Russian Bear Dog is best suited to an owner who has previous experience with dogs and a family that doesn’t have small children. Ideally you also want a home with a large fenced off yard for the dog to run around in. With their large presence and activity needs, they are not suitable for apartments. Even though they are known for being relatively low energy, they still need to be walked regularly so they don’t become overweight. They have good endurance for long walks and hiking. Be mindful that when you take them out for a walk, always walk in front of the dog on the leash because the dog should know you are the leader. Caucasian Shepherds also love a game of fetch and chasing balls around. A large fenced yard is perfect for these activities. 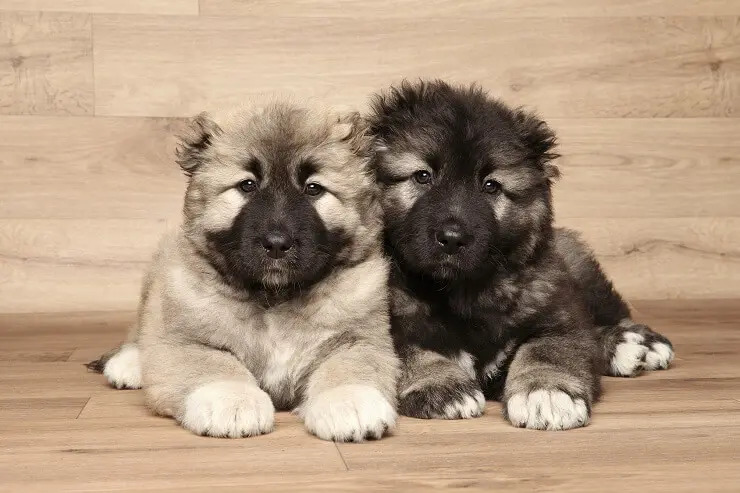 Caucasian Shepherds’ coat can vary a lot depending on the individual dog. If it is a shorter length the coat is easier to maintain with regular brushing. If it has a longer coat, they will have a mane around the neck, and feathering around the hind legs and tail which is thick and fluffy. It is recommended to brush them 2-3 times a week to avoid knotted hair. They will go through a heavy shed once a year. To avoid finding piles of hair around the house, you can give them warm baths and frequently brush them. This will also help the old coat shed faster. Their nails are fast growing, so it is important to clip them regularly to avoid overgrowth, splitting and cracking. Take them to the vets or a local groomer if you are not confident doing this yourself. Ears should be regularly checked for wax buildup and debris to avoid ear infections. Teeth should also be brushed 3-4 times a week; you can use a dental stick instead if needed. It is important for your dog to have the best diet to keep them happy and healthy! Puppies should be given the same food their breeder was giving them to avoid stomach upsets, but their food can be changed. A gradual change is best but always check with your vet. A dog needs protein in their diet because they are carnivores, this gives them energy. Dietary fats provide the most concentrated energy and essential fatty acids keep their coat shiny and healthy. A mature dog as big as a Russian Bear Dog should be fed twice a day, once in the morning and once in the evening. Keeping a routine is beneficial for your dog. How much you feed your dog is dependent on how much they weigh, if unsure, ask your vet. What you feed your dog is an individual choice and whatever you choose is perfectly fine as long as you check the ingredients and feed them high quality dog food. Artificial ingredients and fillers, such as corn syrup, can be harmful for your dog, so it’s best to avoid them. As a rule Kibble tends to have lower quality ingredients. A dog’s dietary needs change with their age, it’s important that when you are buying dog food, always check the label for the age and size of dog you have. They are also prone to bloating, so it is advised to not take them out for walks before or after you feed them. 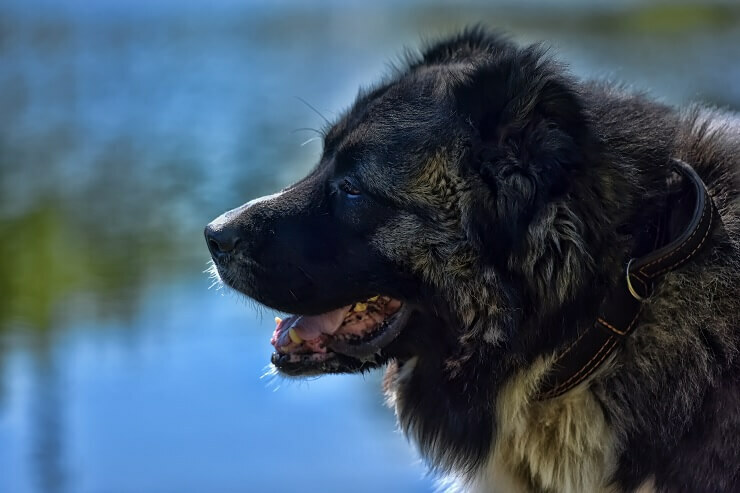 As with every breed there are always certain health problems, the same is true for the Russian Bear Dog. Overall you should expect a healthy breed, but they will still have some genetic health issues that you need to know about. Genetic diseases in purebreds are caused through years of inbreeding. However, there are genetic screening programs to decrease the prevalence of diseases, such as hip dysplasia and these are showing improvements. 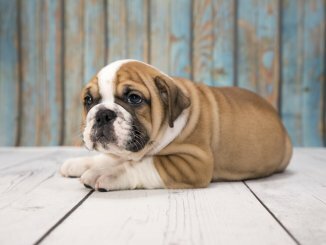 A trustworthy breeder should provide you with information on genetic screening on the puppy’s parents to be sure you know all the information about your puppy’s health. How Long Do Russian Bear Dogs Live? A well cared for Russian Bear Dog has an average life span of 10-12 years. As with any dog, finding a reputable breeder is a must! Russian Bear Dogs are becoming increasingly popular and people will take advantage of this and con potential buyers. When buying a puppy, always ask to see the puppy with their mother. If the breeder refuses, chances are they aren’t trustworthy. Seeing a puppy with the rest of the litter also gives you a good idea about their temperament. Any good breeder will answer any questions you have and will want you to visit before you buy the puppy. Ask them about the food the puppy has been eating, or if they’ve socialized the puppy? They will also ask you questions, as they will want to know if you are right for the puppy, and if you can commit long term. A caring breeder will want to know that the puppy will have a loving home! 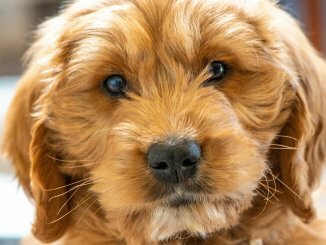 They should also provide you with health certificates for the parents including genetic screening for hip dysplasia and the vaccinations they have provided the puppy. A puppy should be at least 8 weeks old to leave mom and come home with you. Some breeders however may wait until 12 weeks. A Russian Bear puppy will cost between $1500-2000. Higher prices will generally mean they are coming from a more reputable breeder, as breeding from healthy parents costs a lot of money. To sum up, they are protective and loyal, but not the most obedient of dogs. They were bred to be guard dogs, so they are the perfect guard dogs for your family. The Russian Bear Dog is an extra-large dog that is not suited to apartment living, or a family with small children. However with the right training, they are perfect for a family with older children and will form a strong bond. With a double coat and long hair, they will need regular brushing and will shed once a year. You will need to take them for daily walks and keep them active with toys. If you are looking for a large guard dog that will love you always, then this is the dog for you!